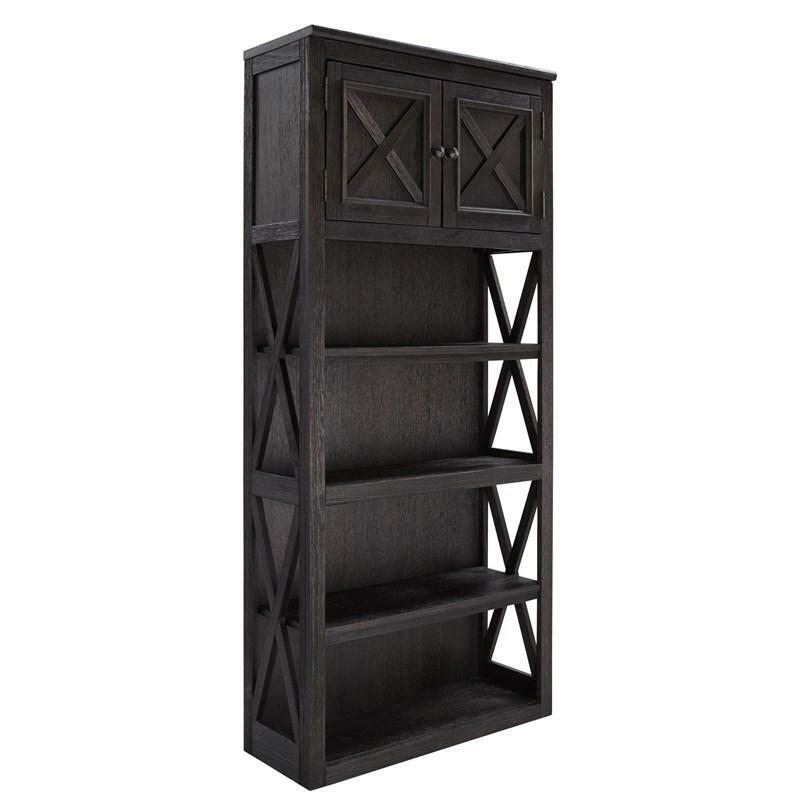 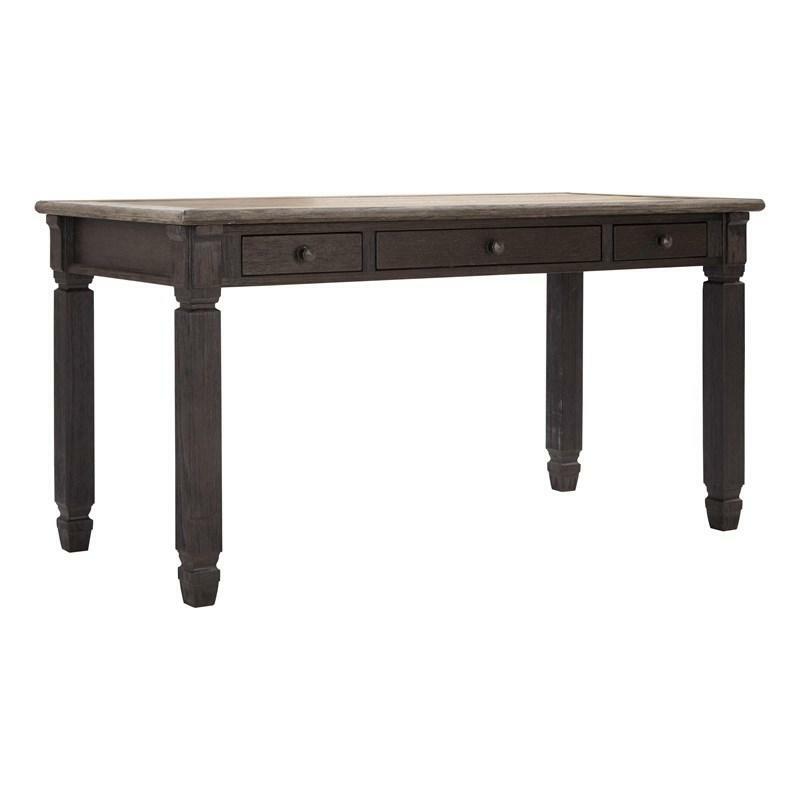 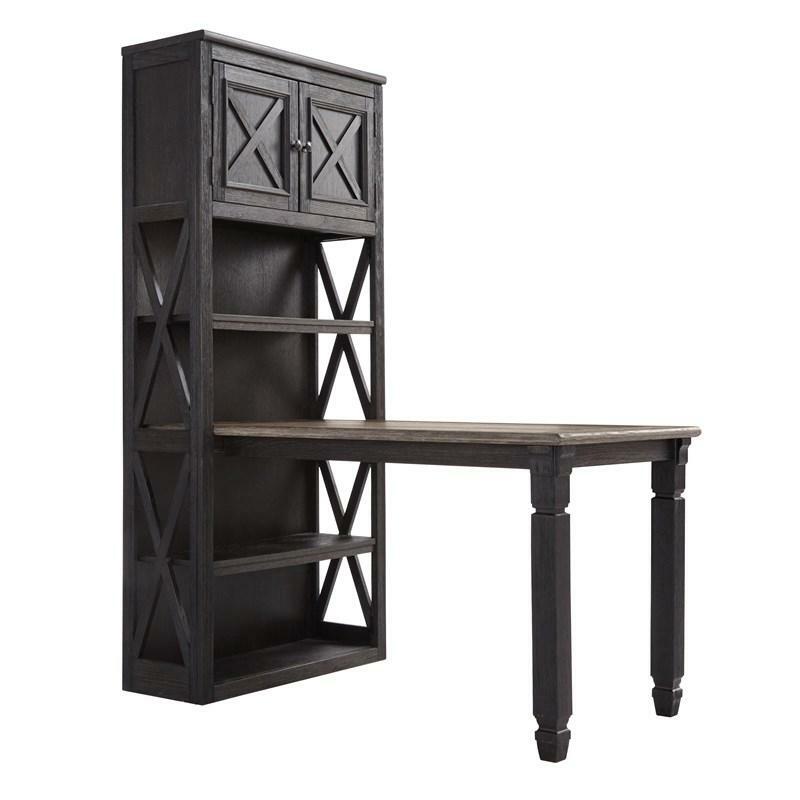 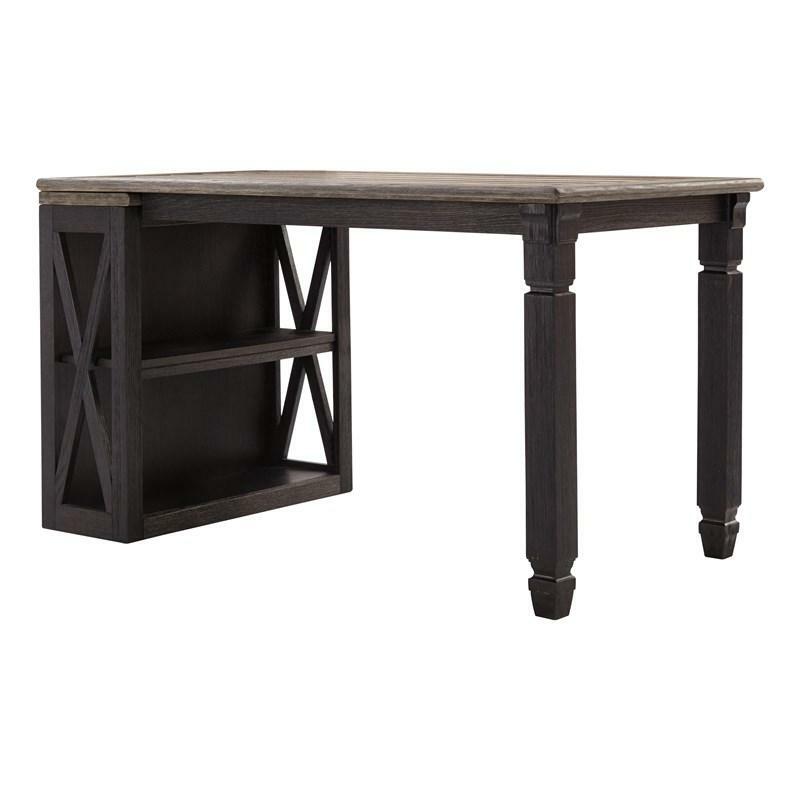 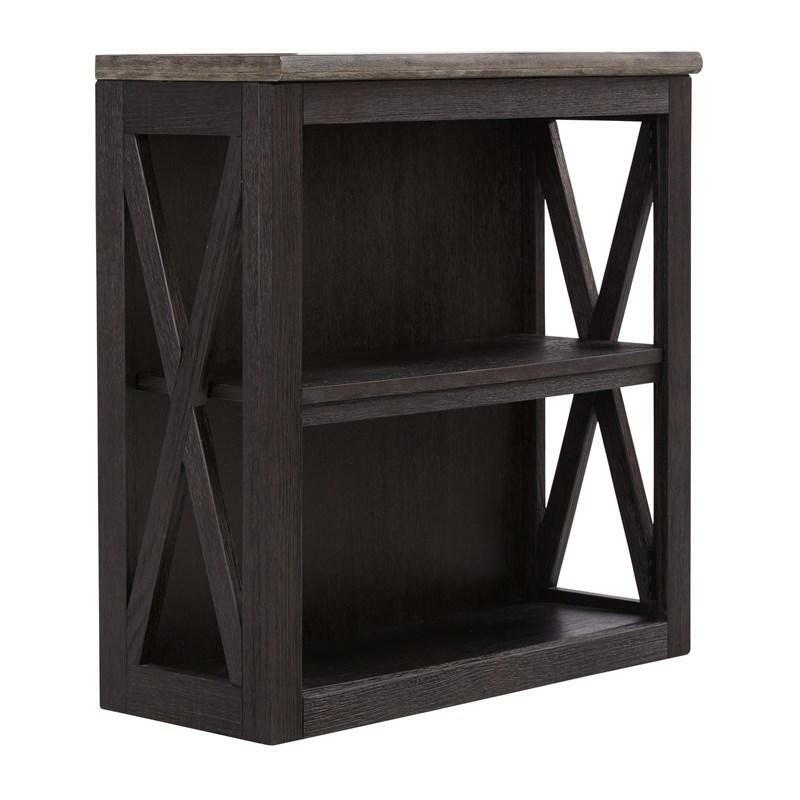 Shabby chic with a hint of down home country is what gives the Tyler Creek desk with medium bookcase standout style. 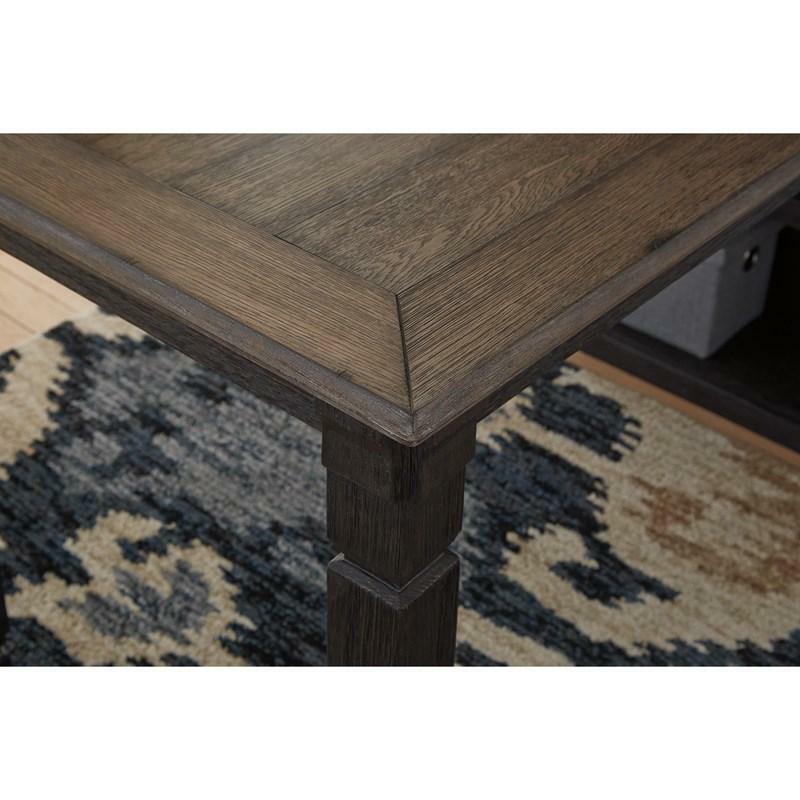 Appealing to today’s more relaxed sensibilities, its richly rustic two-tone effect blends a textured black finish with a weathered gray-brown top for an easy-elegant aesthetic. 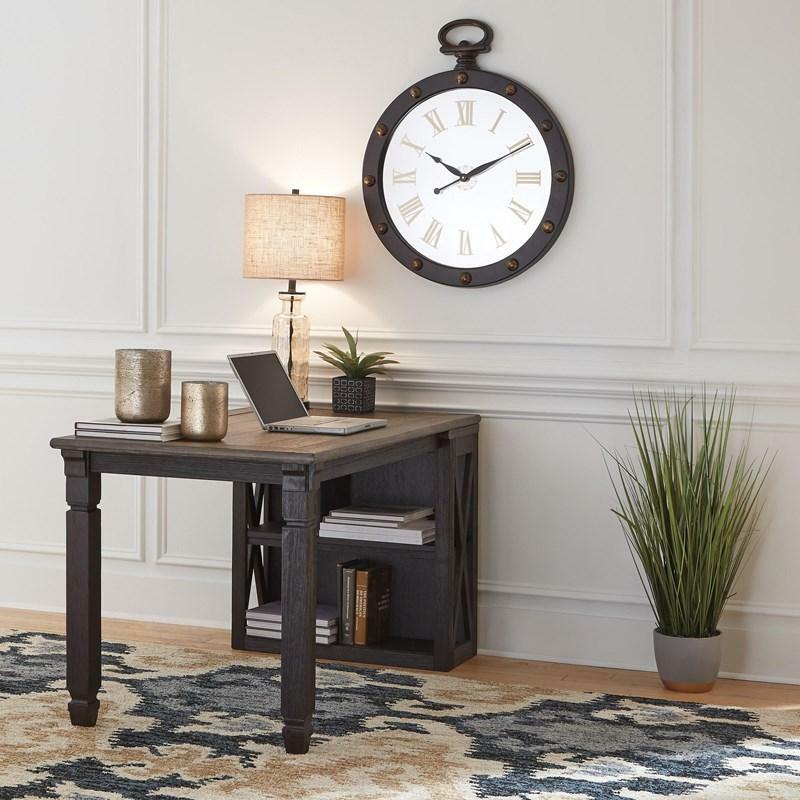 It simply works beautifully for your home office needs.